Cool gift idea from Kinekt. 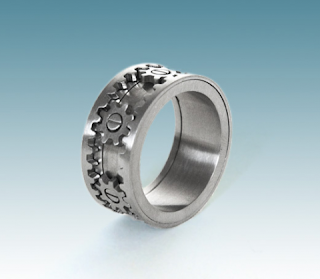 The Gear Ring is made from high quality matte stainless steel. It features six micro-precision gears that turn in unison when the outer rims are spun. It is currently available for purchase in four standard US ring sizes: 9, 10, 11, and 12.